Instantly filters up to 99.99% of contaminants from rivers, lakes and streams. The Extreme Filter can also remove Radiological contaminants. This filter fits the Fill2Pure stainless steel bottle. Even if you have previously purchased the Regular or pH Stainless Steel Bottle you can use this filter for travelling overseas or going into the outdoors. 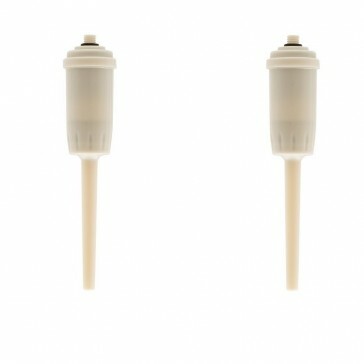 Instantly filters up to 99.99% of contaminants from rivers, lakes and streams. Can also be used with tap, tank, rain water. Capacity is approximately 400 litres, or 500 refills of the bottle. The size is 21.5cm long and the width is 4.2cm wide at the widest point. The Extreme Filter is the perfect companion for travelling to 3rd World Countries and other areas where radioactive material may interact with the groundwater. There is no need to count the litres, our filters will not expire, but the flow will become slower and slower when it is time to change the filter. Anything that comes through is filtered to the same high standard. Change the filter when it becomes difficult to process water through it.